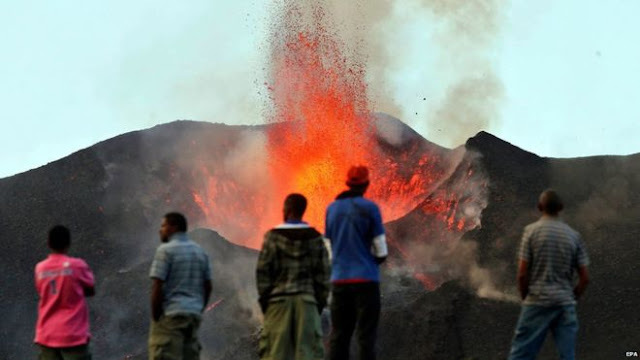 Cape Verde has evacuated 300 people from Brava in the south of the archipelago in the Atlantic Ocean for fear of a volcanic eruption after an earth tremor on Tuesday. There were low intensity tremors on Tuesday morning on the coastal parts of Brava, which is the smallest island of the country, causing no injuries or damage, according to the weather service. It was felt at Cova Joana where, as a precaution, authorities began the evacuation operation targeting some 300 people, the Interior Minister, Paulo Rocha announced at a press conference in Praia. "Data from the National Institute of Meteorology and Geophysics demonstrate the intensifying seismic activity on the island of Brava. If this activity continues, we can possibly have a volcanic eruption in the coming hours," Rocha said. Brava is one of the nine inhabited islands of Cape Verde. It is the least populated with 7,000 inhabitants, according to official figures. The island is close to Fogo where the Pico do Fogo volcano that erupted in November 2014 after 19 years is located. Its lava was recorded to have flowed for nearly three weeks destroying coastal villages causing major damages but no death. The authorities then evacuated a thousand people around Pico do Fogo.